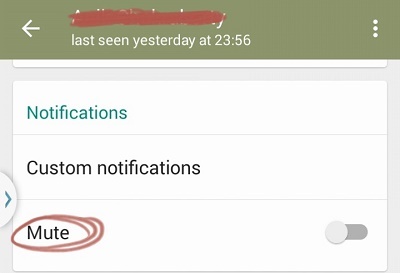 Home > Social Media > How to Mute chat notifications of personal chat in WhatsApp? Are you tired of receiving messages from a particular contact in WhatsApp? Before, you had no other choice but to bear the pain but now you have. 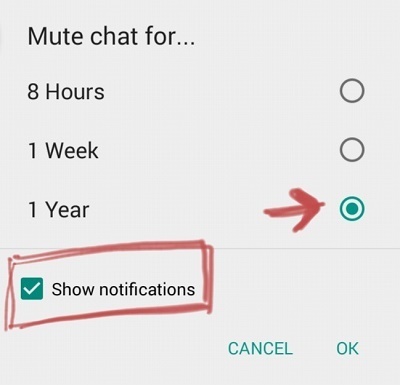 You can Mute chat notifications for a particular contact in WhatsApp. While these social media play important role in our life, they often become the cause of annoyance and disturbance. Group notifications could be turned off since a long time but the personal chat mute option has been added very recently. Other than Mute, you can also assign special call ring tones or WhatsApp message ringtones, notification light color and vibration for tour favorite contact so that you can differentiate it from other notifications. The following few tips will be of help if you are finding ways to get rid of the WhatsApp intrusion from your life. 1. Open the chat and tap on the name of the contact located at top left corner. 2. Now under notifications, you will find the Notifications tab. Under the Notifications tab, there is the Mute option. Tap on the Mute option to turn on Mute. 3. Then select the timestamp until which the Mute will be active. 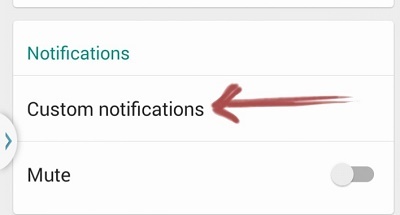 This will mute the chat notification tones but still the notifications will come. 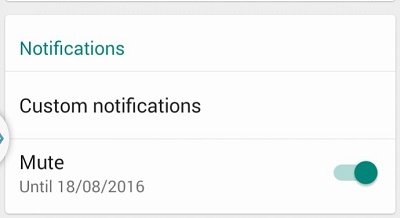 If you want to stop that also, uncheck the option “Show Notifications”. 4.Once you select the time, Mute will be activated for that WhatsApp contact. 5. You can also customize the Notifications for a particular contact. In that case, select Custom Notifications. 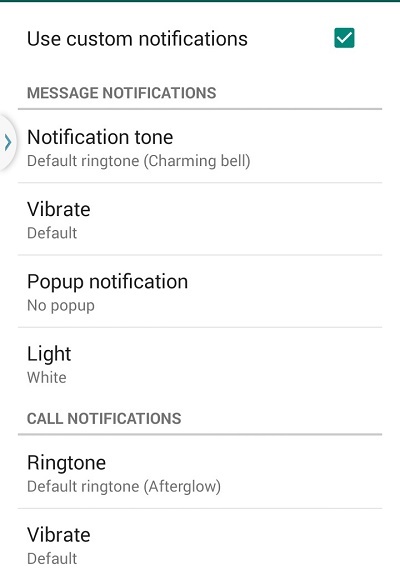 6.Then you can change the notification tone, vibration, popup notifications, notification light color for messages as well as calls.